Since I have been posting about our Japan trip, I took a break from the Pic of the Week. However, it seemed appropriate to share this one before the week/month ends, especially since it is Halloween. 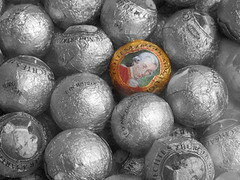 Here then, is your treat: Mozart balls in Vienna.